When it comes to Northern Colorado, Timnath is one of the fastest growing communities on the I-25 corridor. Father & Son Painting has proudly served Timnath since it was a barely a one-road town, and continues to serve this growing community with professional, high-quality painting services. There’s a reason that most people trust a local company over a “big box” service company. The best reason to choose Father & Son Painting is that we chose to call Northern Colorado our home just like we do. We will treat your house like our own, and every paint job is important to us. Our service extends to all of the cities and towns across Northern Colorado from Johnstown to Wellington and everything in between. Quality is our selling point. Because of this, we use only high quality Diamond Vogel paint for every project. This paint is durable and long-lasting, meaning your next paint job is far beyond the horizon. 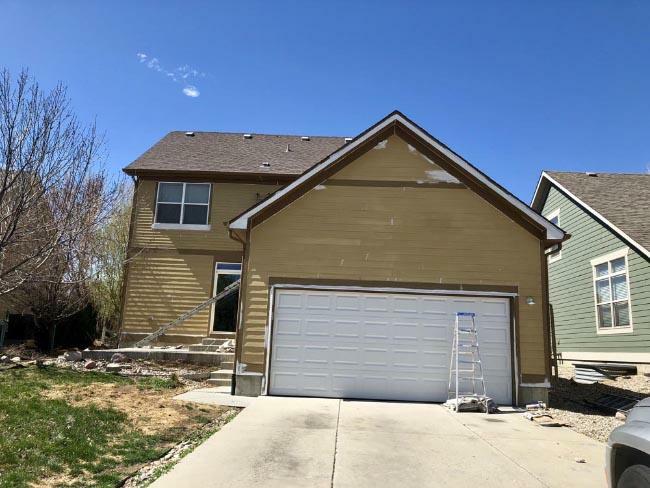 Our painting service will stand the test of time against the harsh weather of Colorado! Father & Son Painting is proud to be the best local paint company in Timnath, Colorado. Contact us for more information or to get an estimate on your next painting project!